At this workshop your will learn how to create various living willow structures. You can then take the skill with you and put it to use in your own garden. There's nothing like a magical willow dome to bring the kid out in you. In the summer our whole family squeezes into ours to watch the sun set. 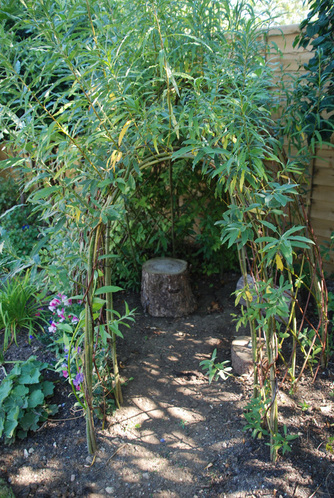 You can see some photos of ours and other living willow projects here. I'm always looking for suitable venues to run the living willow workshops. So if you are interested in having a living willow structure and are happy to share the experience of creating it please get in touch. The overall cost to you decreases with the amount of people involved.